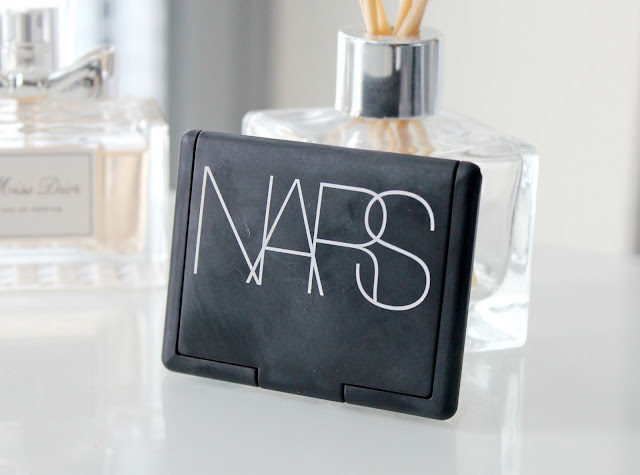 If you read my blog regularly I'm sure you'll all know that NARS is one of, if not my absolute favourite brand. Their Laguna bronzer is a holy grail product for me and even though I've ran out at the moment and can't afford to buy a new one (sob! ), its something I'll always repurchase. With this being said, I decided it was time to dip my toes into other NARS cheek products and their blush was top of my list. I always hear amazing things about NARS blush but because I've only started wearing blush more recently, it was never something that stood out to me as a must-have. Until now of course. 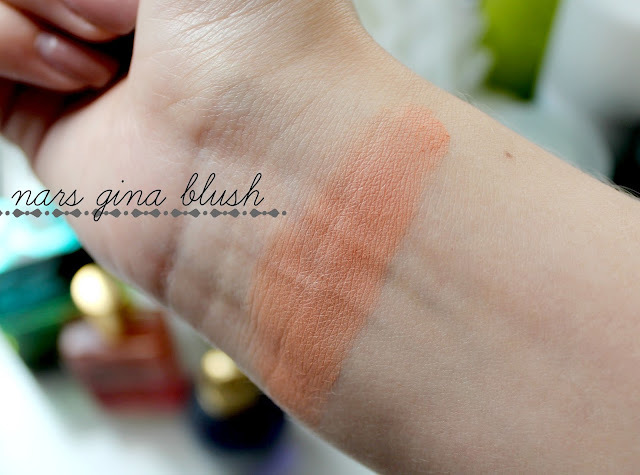 After scouring around online looking at other bloggers reviews and comparing swatches, I decided the first NARS blush I'd like to try would be Gina, a pretty peach. Peach and orange shades are definitely my favourite when it comes to blush as I find pink can make me look too barbie-like which is never a good look, especially when I've got bright blonde hair. I'm not saying people with blonde hair shouldn't wear pink blush but on me personally bubblegum pink cheeks is a no-no, it just looks too un-natural. When the blush arrived in the post, I have to say I was quite disappointed. On first impressions, although I liked the colour, it looked like a plain matte blush I could buy from any high street brand for a fraction of the price. However, when I swatched it on the back of my hand, my opinion was changed. 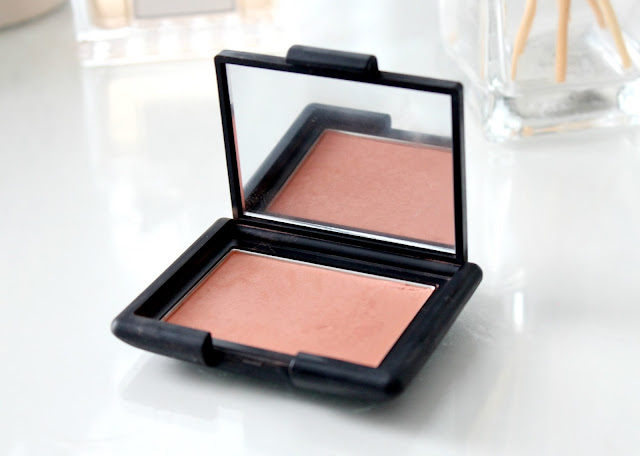 What makes this blush so much better than other blushes I've used is the creamy, almost velvet-like texture. With the lightest swipe of my finger, the pigmentation, texture and consistency are second to none. After having a swatch, I couldn't wait to see how it looked on my cheeks and again, I wasn't disappointed. As soon as I swept it over my cheeks, my face looked healthy and glowing. The muted peach shade isn't at all over-powering and gives my skin a natural flush of colour. However, I imagine it can be built up if you're into a more bold look or if you have a darker skin tone than me. Its a pretty versatile shade that would suit most skin types. I like the fact its almost matte too (it has a slight sheen) as I prefer to add shimmer to the tops of my cheekbones with highlighter instead of all over with a blush. I only need to dab my brush lightly onto the product to achieve great colour pay-off and the butter soft texture means it blends into the skin flawlessly. I've been applying it with my Real Techniques blush brush for reference. When paired with a bronzer and highlight, this blush adds the perfect finishing touch to my cheeks. As I said earlier it brightens up my whole face and I even feel like it gives my face more dimension and structure. 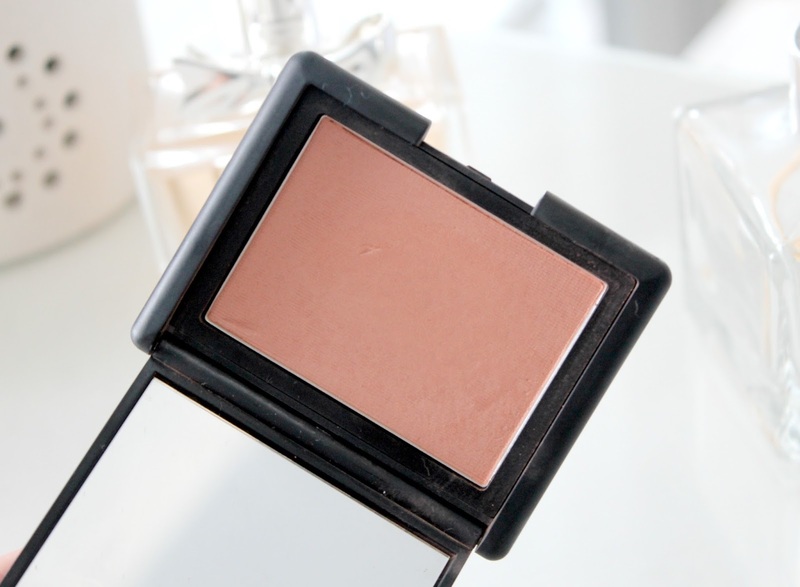 If you're into peach-toned blush, look no further and treat yourself to NARS Gina. You can find it here and although its not cheap at £21.50, its totally worth it. 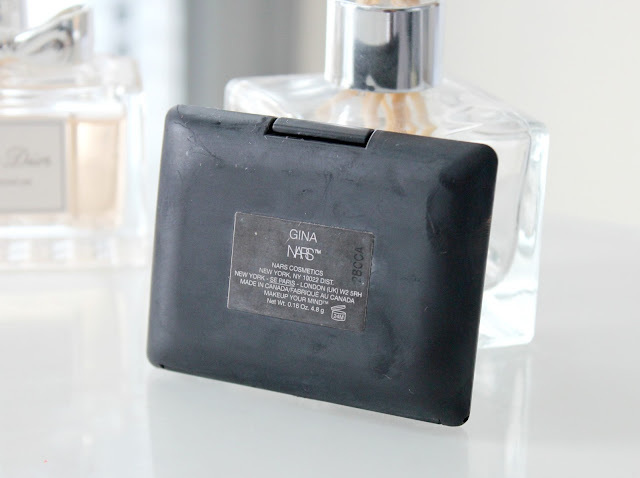 Have you tried NARS Gina? Whats your favourite NARS blush? AX Paris A/W Press Day | Cupcakes, Cocktails & Clothes!